NESCAFE 3 in 1 Blend & Brew Original. New Improved Formula: Nescafé 3 in 1 Blend & Brew (Original/Regular) now tastes creamier and more aromatic than ever. 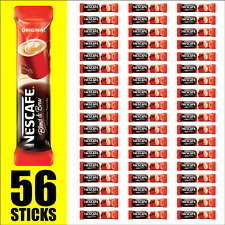 Premix Instant Coffee (56 Sticks). Coffee on-the-go: Premix instant coffee ready in seconds. Starbucks Via Instant Coffee. Pike Place roast. Instant and microground coffee. It promises rich natural aroma and premium taste. Product of Vietnam. Excluded are Alaska, Hawaii, Puerto Rico, APO/FPO, PO Boxes and International locations. Instant Juncao Reishi Premium Cafe Style Black Coffee is a delicious real coffee product. This is a type of mushroom that, when dried, takes on a hard consistency much like that of a dried coffee bean. Dark Roast Coffee Decaf Italian Roast. Starbucks Via Instant Coffee. 60 x0.11oz/3.3g. New ListingStarbucks Instant Via Coffee Bundle - 48 Packets of House Blend Flavor! 6 boxes (each box contains 8 packets each) of Starbucks Via Instant Coffee - House blend for a total of 48 packets- has the following dates and flavors for each box- these can be used well after these dates, which are merely the dates when they are removed from shelves - your bid constitutes awareness of these dates All boxes will ship priority mail- PayPal only, no international shipping. Good luck! Best by dates of June 2019 and later! Great Tasting Instant Formula. Supports General Health and Well Being. Supports Healthy Energy Levels. Starbucks VIA Instant: Made with 100% Arabica Beans. Then enjoy the rich, smooth taste of 100% Colombian arabica coffee with that signature nutty flavor. Creates a 6 ounce cup depending on the strength you prefer. 16 gram serving, 100 servings per bag. Patented dry roast process has superior taste. We want you to be totally satisfied with your order. Lot of 3 Folgers Instant Coffee. Costs have skyrocketed with the rate increase last month. Trending at $15.43eBay determines this price through a machine learned model of the product's sale prices within the last 90 days. It promises rich natural aroma and premium taste. 20 individual sachets. New Instant Nescafe Arabic Arabiana Coffee with cardamom. USA Shipper! 5 out of 5 stars - New Instant Nescafe Arabic Arabiana Coffee with cardamom. USA Shipper! 36 product ratings36 product ratings - New Instant Nescafe Arabic Arabiana Coffee with cardamom. USA Shipper! It is 100% pure coffee, made from a blend of selected coffee beans, carefully roasted to capture its full flavor and aroma. Get your "cafecito" fix with the unique taste of Nescafe Clasico. Pure instant coffee, just add water and enjoy. 2 bags of Old Town Hazelnut 3 in 1 /街場白咖啡榛果 三合一. 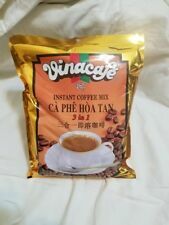 - Great Hazelnut flavor instant coffee that is ready on the go! - 3 in 1 instant coffee. - Each bag contains 40g of 15 sachets in each bags for a total of 30 sachets (1200g total in two bags) that you are purchasing. 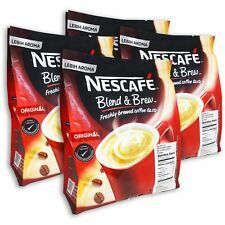 2 NESCAFE 3IN 1 Original/Regular 56ct Instant Coffee (2Packs) SALE!! Nescafe Coffee 3 in 1 is a great choice of coffee. Simply mix the premix 3 in 1 coffee powder with hot water and you can start enjoying coffee as little as 30 seconds! You are purchasing 2 pk of Nescafe 3 in 1 Blend & Brew. STARBUCKS VIA INSTANT CHRISTMAS BLEND. 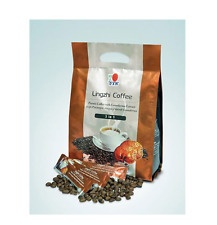 100% ARABICA INSTANT AND MICROGROUND COFFEE. BEST BEFORE DATE: 21 AUG 2019. Due to such an increase in false claims, we will refer to these tapes to identify any fraud or inaccurate claims. Nescafe Taster's Choice Instant Coffee House Blend. Two flavour favourites combined full bodied NESCAFE Rich coffee and sweet hazelnut. Hazelnut flavoured instant coffee. ManufacturerNestle Canada Inc. Dark Roast Coffee. Italian Roast. Starbucks Via Instant Coffee. Instant and microground coffee. 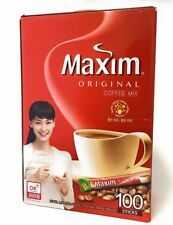 Korean Maxim Original Instant Coffee Mix (11.8 g*10 T) USA_Seller + Free Gifts ! DONGSUH Maxim Original Mix (10T).Red,Mix! :Coffee, Sugar, Vegetable Cream. it is for 10 Sticks not 100. Chill your coffee with ice and enjoy a cup of cold coffee in the. coffee powder with hot water, you get to enjoy this yummy coffee in. It now has a creamier coffee taste and it is more aromatic than ever. HOT COFFEE: Pour 1 stick of Nescafe 3 in 1 Original Instant Coffee into a cup, followed by 6 oz (180 mL) of hot water. Stir the coffee and serve hot. COLD COFFEE: Pour 1 stick of Nescafe 3 in 1 Original Instant Coffee into a cup, followed by 3.4 oz (100 mL) of hot water. TRUNG NGUYEN. The Asian instant coffee market has dozens of fiercely competing coffees. All our instant coffees containNO ingredients from China. 20 Sachets x 16g. G7 instant coffee is extracted directly from the coffee bean, which gives a better cup of coffee than conventional freeze-dried coffee crystals.